Love and romance are grand, and we all love to read happy endings. But along with those wonderful happily-ever-afters, comes a certain amount of conflict and tension. If they don’t, we usually don’t find them too interesting. Boring stories aren’t captivating. But life is rarely like fiction. True, things can get dicey in a good romantic suspense, but how many of us are going to fall in love while fighting for our lives? More than likely your love story is about as boring as mine. We met, got to know each other, became engaged, and then a few months later tied the knot. No dangerous car chases, gunshots or even doorbells interrupting our kisses (LOL), and no ex-lover hopping out of the woodwork to throw a kink in our plans. What are you supposed to do when the butterflies disappear and reality sets in? You make a choice. A choice to love. But we have to make a choice. Love is not a feeling. We choose whom we will love. 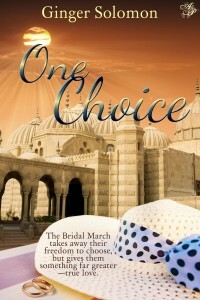 In my debut novel, One Choice, both my hero and heroine have to make choices, some of them harder than others. Ultimately, they both have to choose whether to take a chance on loving one another. Ginger, I love your post. Very well said. Love is not an emotion, but a choice. Absolutely. I also love the blurb from your new book. Oh Ginger, this is a wonderful post -and so true. Christ’s love is the perfect example of ‘love is a choice’ and with HIS spirit does give us the strength we need to do what goes against our ‘humanness’: loving when it hurts. And your books sounds amazing! Great article, Ginger! We always have a choice. To choose love… well, that’s a precious choice indeed. May we always choose to love those around us as God first loved us. I agree Andrea. Even the unlovely deserve to be loved as Christ loved us, even when we were unlovely and covered in sin. Like the beginning of 1 Cor. says (paraphrased), without love everything we do would be meaningless. Thanks for the encouragement, Cathy. Congratulations on your debut novel, Ginger! Love is a choice, and in today’s disposable society, so many couples are choosing to throw away their marriages because they’re not willing to make sacrifices and work through those tough times. Thanks, Lisa. 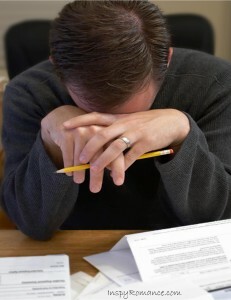 That’s one thing about love…it takes work and sacrifice – “it does not demand its own way”. :) It’s oh, so hard at times though. Ginger, congrats on your debut book release! The story sounds fascinating :) I love this post because it reminds us that love is a verb, and a choice. I’m glad you enjoyed it, Linda, and thank you.